FRAMED PRINT. 22x18 inch (56x46cm) Framed Print with Black Satin with Off-White Digital Mat. 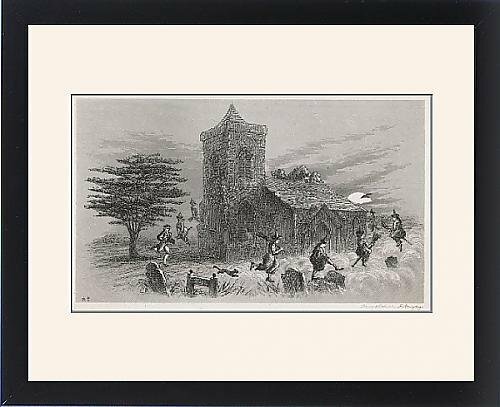 Artwork depicting North Berwick Witches and Dr Fian in a churchyard. The North Berwick Witches and Dr Fian fly round a church, some on broomsticks, as confessed to King James. Shipping from USA. Artwork Description... The North Berwick Witches and Dr Fian fly round a church, some on broomsticks, as confessed to King James.